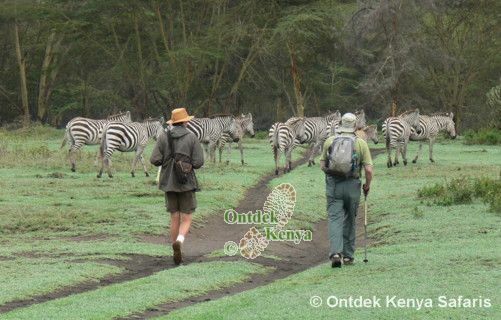 Ontdek, founded in '96, is a leader in private safaris in Kenya that are truly nature themed. 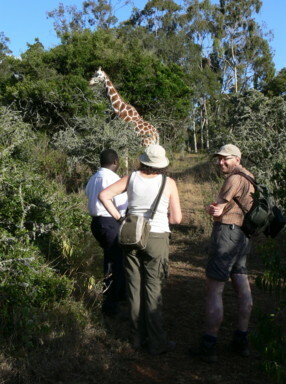 We are specialists in custom walking vacations, bird watching holidays and responsible wildlife safaris. Under these themes we also offer photo safaris, educational tours and family safaris. Besides having your interests fully catered for in your custom tour, we give you more flexibility than you would otherwise get in a scheduled group safari e.g. on simple things like when to start and end a game drive. At Ontdek we work hard (and we enjoy doing so) to give you an itinerary that truly reflects what you are looking for in an African custom tour. We don't just paste up a Maasai Mara -> Nakuru -> Tree Hotel -> Samburu safari. We bring in 20+ years of experience in arranging private safaris that are genuine alternatives to the vehicle confined safaris in Kenya. 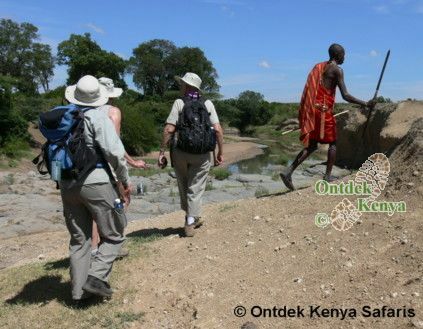 Why book a private safari with Ontdek Kenya? - You travel at the time of your convenience & with the party of your choice. - We give you value-adding ground information for your safari planning. For this we have received very positive feedback / reviews from past clients and one thing that our clients agree on is "Ontdek does not say yes, yes to all you ask" - this is not because we will disregard your wish-list for your custom tour but we want to be sincere with you as some of the things you may have researched on appear good on the websites but are impractical on the ground. - Ontdek puts quality time in the areas you visit so as to thoroughly explore them. - Guiding - This is the make or break of many custom safaris. Ontdek believes there is little value in getting a vehicle exclusive for your party, stay in exclusive tents and not have a top-notch driver-guide exclusively for your party. All Ontdek Kenya's drivers are at the same time competent naturalist guides and bird watchers. - If you are a bird watcher who wants to add a particular species to your life list we know the very spots to look for it. For people on a specific bird watching tour, we add a specialized birding guide, not because our drivers are not good enough birders but because they have to keep their eyes on the road and might miss out on one or two Little Brown Jobs. - Travel with children and young adults in Kenya is best enjoyed on a custom tour. On this we connect with you on a very personal level as we have traveled a lot with our 2 children when they were still below 10. We give you children-travel-tips that have worked for us as well as other families on family custom safaris. As always we are very reluctant to make price our marketing pitch as we first and foremost want to be known for quality safaris in Kenya. We also know that many travelers are reluctant to book custom tours because they fear that they are more expensive than group safaris. We invite you to put aside your price-fear & contact us with your safari request and what will surprise you is that our prices are very reasonable for the value of the tour. From the menu bar on top of this page, please review the tour(s) you are interested in and contact Ontdek Kenya Safaris for a consultation & planning of your private safari.